This recording was made as a comparison to an archive recording of the Essex Youth Orchestra playing in the same venue in 1969. 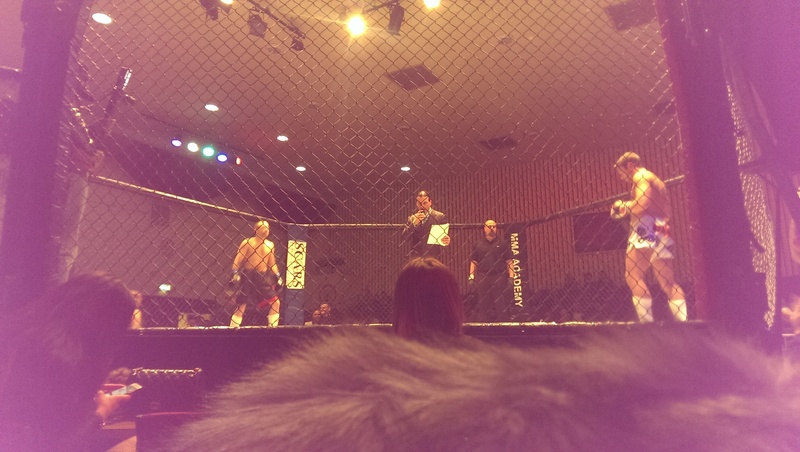 After reading the upcoming events organised by Impulse Leisure at the Grays Civic Hall, we chose to record the cage fighting, or mixed martial arts (MMA), event as a good contrast to the youth orchestra recording in order to highlight the change in entertainment and interests across five decades. I’d never been to an event like this before and didn’t know anyone who had so I went with a open mind (as I always try to do) to see what happens at such an event. The hosts were really friendly and made we welcome. I arrived early with plenty of time to set up my kit and suss out a good position from which to record. Tables and chairs were set out in a cabaret style, and large groups of friends all took over one table. Most of the fighters seemed to have a group of supporters on their own table and there was some loud banter and encouragement throughout the evening. 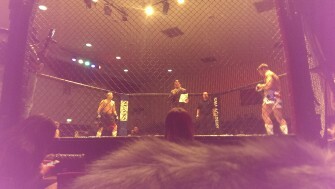 There were ten bouts throughout the evening with some contenders fighting more than once. The contests themselves were very mesmerising and even though I wasn’t rooting for any particular side could see the ebb and flow, or sometimes just ebb, of the fighters as they tried to overcome their opponent. Some of the bouts lasted less than one minute, but a couple went the whole three rounds with the crowd getting right behind them. Here you can hear a selection of the bouts recorded, with plenty of crowd participation, in which some of the language may be a touch fruity. 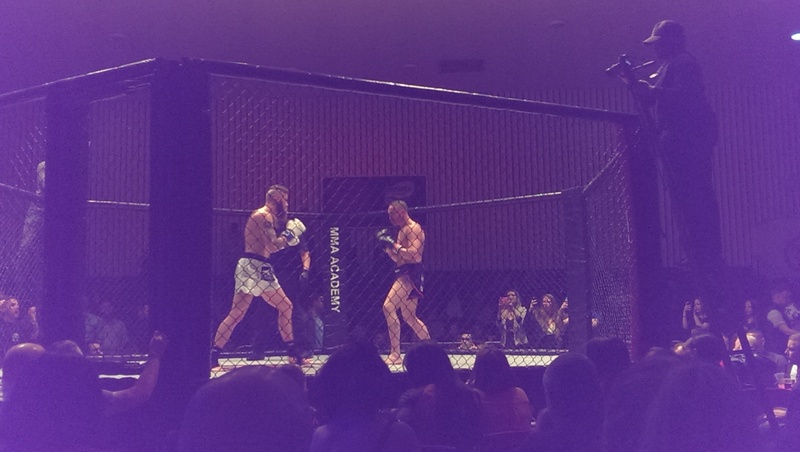 It’s pretty hard to make out the sound of the fighters themselves but you can hear their feet on the floor of the cage and some particularly good punches landing. 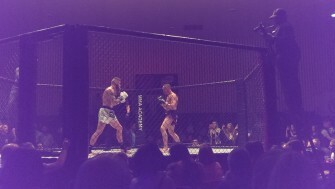 The best sound though is of a bone cracking, which somewhat hampered the fighter thereafter. 14th Feb 1967, you can find the flyer and ads for it easily enough and there is also a professionally shot film of The Experience at Chelmsford Corn Exchange, easy enough to find on Youtube and lots about it, recollections etc on the Chelmsford Rocks site. Do you know when roughly that might have been? I used to work with a woman who had her College dance there, The Jimi Hendrix Experience played.